Foster Corporation has been appointed as a North American distributor of Solvay’s KetaSpire Peek and AvaSpire Paek polyketone based polymers. This will include unmodified polymers and standard colour formulations currently offered by Solvay. Foster is currently a distributor for Solvay’s Radel polyphenylsulfone (PPSU), Udel polysulfone (PSU), and Ixef polyarylamide (PARA) in the North American healthcare market. PEEK and PAEK medical grade polyketone based polymers are high flexural modulus and high strength polymers that offer extreme heat resistance and excellent hydrolytic stability. They maintain their mechanical properties in reusable applications when exposed to multiple steam sterilisation cycles as well as other sterilisation techniques. Both polymers can withstand over 1,000 steam sterilisation cycles without significant loss of properties, as well as biocompatible (USP Class VI and ISO 10993) and biostable. 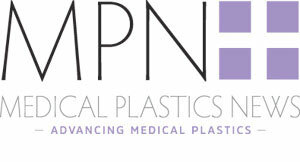 Common applications include surgical tools, tubing, and connectors, as well as healthcare metal replacement applications.